On September 25, 1890, President Benjamin Harrison created Sequoia National Park in California. 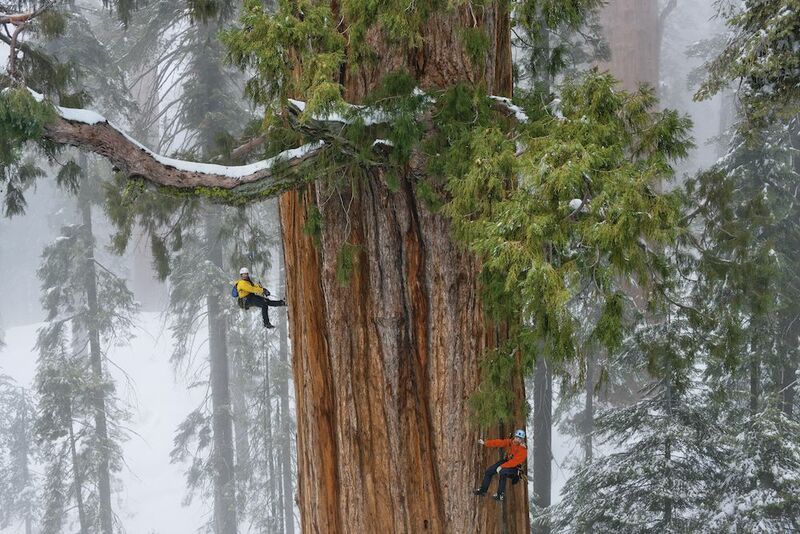 A team of scientists measure a truly giant sequoia in Sequoia National Park, California. On September 25, 1890, President Benjamin Harrison created Sequoia National Park in California. Sequoia National Park is named for the giant sequoia, a type of redwood tree that is the world’s largest living organism. Giant sequoias can live for more than 2,000 years, and grow to have a mass of more than 544 metric tons (600 short tons). Even though Sequoia National Park is protected, it is not completely pristine. Sequoia and neighboring Kings Canyon have some of the most severe air pollution problems of any national park. Warm winds carry pollution to the parks, which buffer the Sierra Nevada mountain range, from the heavily industrialized Central Valley and San Francisco Bay Area. largest species of tree on Earth. to take action to prevent injury or attack.